Why should you care about PIP fraud claims? Between November 2009 and July 2011, insurance rates charged by State Farm have increased four times, between 4.3% and 9% each time. In 2011, Geico increased its insurance rate twice by 4.5% and 5% respectively. Since 2010, Progressive raised its rates by approximately 10%, while Allstate raised their rates by 13% in 2010 and 20% in 2011. These rate increases would be understandable if the number of accidents in Florida had increased at a similar rate, but that is not the case. So what is driving the endless hike of auto insurance rates in Florida? 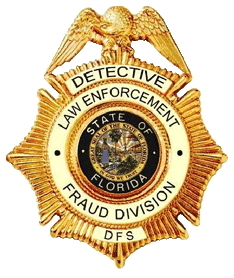 In our next post, we will report on the Florida Attorney General’s, Pam Bondi, actions to protect consumers from Lawyer Referral Services who misrepresent their services to Florida consumers. We will also delve into the latest recommendations made to the Florida Bar Board of Governors to prevent lawyers from associating with these clinics.